Holidays including summer sea activities?? A dream came true. Together we design the holiday you wish to have. We suggest actions that might interest you. The Health Guardians organization with the help of its qualified staff helps you have a carefree holiday. Duration: 3 to 9 days. 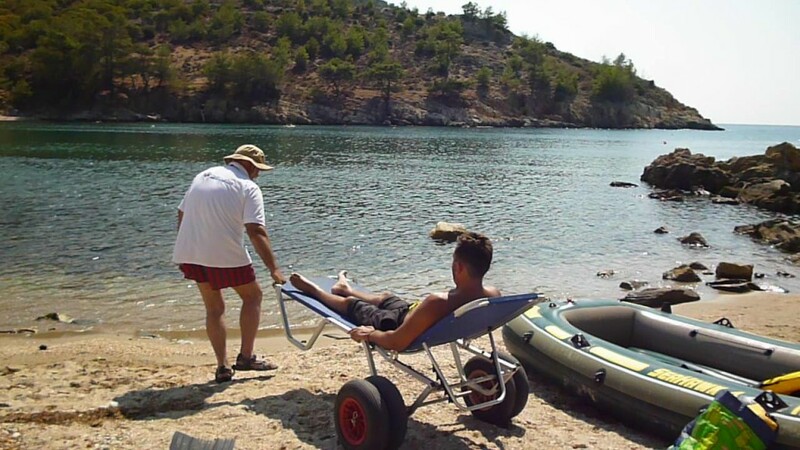 Activities: Fishing, swimming, seabed observation. 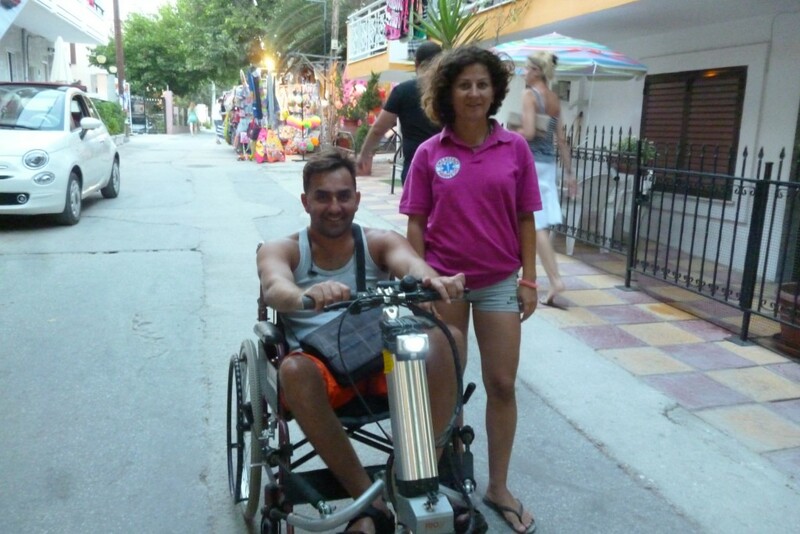 Provided equipment: Electric & off road wheelchair, beach wheelchair. Highlight: The feeling of having holidays in Greece at the best beaches Greece has to offer. This excursion is possible only if the weather conditions permit it. The program is directed to people with paraplegia or left hemiplegia. For your reservation contact us 15 days in advance. Possibility of visiting the sights of Thessaloniki. The program is formed from the preferences of each person involved. It does not include transportation to / from Thessaloniki. Possibility of a friend / family member’s participation, of the participant.